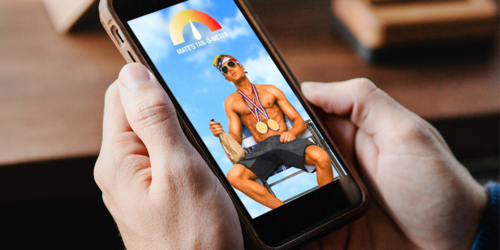 With the cost of official Snapchat Ad products putting them out of reach for most, there's no harm in getting a little bit crafty with Stories. Playing on the ability to screenshot within Snapchat, you can turn a simple Snap Story into an interactive game for your followers. Take a look at this awesome creative from Mosh and Paramount NZ for the release of their latest movie, Baywatch. The 'Tan-O-Meter' runs for 10 seconds, throughout which we see Zac's tan increase. The idea is for followers to screenshot when they think Zac's tan is "just right" and then send the Snap back to paramountnz to win 1 of 5 prizes! A campaign shot entirely from the point of view of children (with the help of Spectacles) sees everyday hiccups, slips and spills and a mother always there through the children's eyes. This excellent creative was driven by Cutwater agency who realised this unique view would really highlight just how much of a hero your mother is, day in and day out. We love seeing brands using Specs in new ways... maybe next we will see Specs on our pets to highlight all their owners do for them... you just never know. The Snapchat world is your oyster! "You wouldn't rush a hot date, so why would you rush through traffic and risk your life?" If you've got a serious message that needs to reach younger audiences it can be a struggle to make it 'cool' and engaging. But Auckland Transport have done just that with their latest anti-speeding messages, taking the big issues to the small screen for maximum impact. Snapchat is fun, super easy to interact and engage with - PLUS it's where this target audience spends 30+ mins a day! An awesome prize like a pair of Specs really sweetens the appeal and creates positive reinforcement around the issue the campaign is addressing.